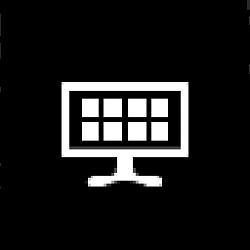 A tile is a modern app’s representation on the Start screen in Windows 10, and can be either static or live. Windows 10 includes a new 3D animation for live tiles, and allows you to turn live tiles on or off for your apps pinned to Start. A static tile displays the default content, which is generally just a full-tile logo image for the app. Live tiles can show updates from your friends, new email, app notifications, and the next appointment on your calendar at a glance, even without opening an app. And because everyone who uses the PC can sign in with their own Microsoft account, each person can personalize their own tiles, colors, and backgrounds. This tutorial will show you how to turn a live tile on or off for each app pinned to Start for your account in Windows 10. 1. Open your Start menu, and do step 2 or step 3 below to either turn a live tile on or off for an app. And now there's a quest in Build 14332 wanting me to "turn off live tiles" which I took to mean turn 'em all off at once, but not to be. So far, the only way to do that is one-by-one, which I generally do when I clean install, but it's a pain in the tookus. They're all there waiting to be turned off. Thank, Brink. So far I haven't been successful. I apologize if this does not belong in this thread, but was wondering if there is a different look possible for the calendar tile. If you have an event for the current day, it will show on the tile like below when you have the live tile turned on for Calendar. guess the tile says it all, I can not see how you turn on/off live tiles, am I missing something?